When it comes to Romantic advice, the best thing you can do is, listen your heart. It's your relationship, and you are the best person to judge your partner. Once your romance strengthens and your love becomes mature, you tend to know almost everything about your partner, his/her like and dislikes. This is when your heart advices you with the romantic tips, best suited for your relationship. However, it never takes much to listen to what others have to say about romance. Lovers since ages have tried out various means of impressing and wooing that special person in their lives. These means have emerged to be the popular romantic advices for hearts which beat passionately in union. right romantic advice can add a lot to your romantic relationship. Whether you look for it on the Internet or in some love guide, romantic advices have always been welcomed by lovers who have already exhausted their own romantic ideas or look for something better and unique. Whatever, the case maybe, romantic advice is the best solution to go for when you're lost for ideas and plans to impress the man/woman in your life. Let's have a look at some of the popular romantic advices which can help you a lot to add to the passion of your relationship. Speak Love: When the issue is love, there can be no better means to make it stronger than speaking it loud! Most of the times we shy away from letting our partners know what we feel for them. Or when a relationship becomes mature, lovers often take each other for granted and forget to say those golden words of love to each other. Believe it or not, nothing works for your relationship better than words do! It's very important to remind your partner how much you're still in love with him/her. Nothing can be a better gift for your romance like the words "I love you"! If you think of your love always, its better you convey it to your lover and see the magical change in your relationship! Give time: The major reason behind failures in love relationship is the lack of time. Most of the times relationships become a burden when you don't feel the same for each other and it's the lack of time that makes you feel that way. When you're not giving enough time to your relationship and thus, your partner, it paves way for numerous complications like misunderstandings, miscommunications, mistrust, doubts and lack of interest that ruins your relationship. You definitely wouldn't want that to happen to your love life! Spend good amount of time with your partner, and enjoy doing what you like to do together. Go for movies, dinners, strolls and notice a significant change in your relationship. Celebrate marriage: The worst thing you can do is take your wife/husband for granted. Most of the married couples forget to be romantic once the honeymoon period is over. One has to remember, marriage also needs fuel to survive, and that fuel can only be your love and nothing else. It's very important to celebrate your marriage. Be romantic and shower your partner with attention and that's all is needed to make a successful marriage. Romantic Advice can only help you with love suggestions to make your relationship work out but the efforts have to be solely yours. No one can make it happen unless and until you decided to do so. 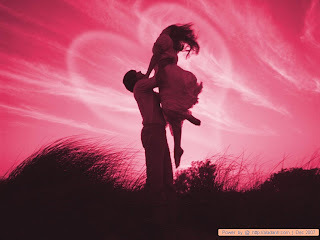 So follow the love advices and enjoy a passionate romantic love life, the undying bond of love .